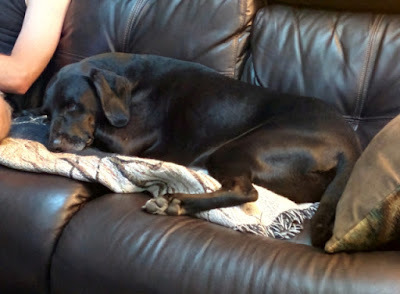 Despite a brief setback with multiple episodes of vomiting on Monday, Frylie is doing much better today after the addition of an anti-nausea medication. With his ever rising medical costs, however, I've realized just how lucky he is that Steve and I have been able to afford his medical care. Far too many animals are not that fortunate. In light of this, I've decided to use my opportunity to have a guest artist show of my original paintings here in Wake Forest to try and help those animals in need of urgent medical care. 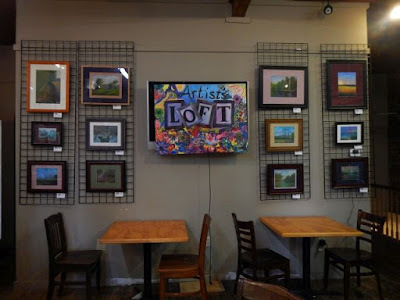 My art show will hang throughout the month of July at The Artists' Loft in Wake Forest, and I've decided to donate a portion of the proceeds from all sales to the Good Samaritan Fund at the Animal Emergency Hospital and Urgent Care. The show's Opening Reception is Friday evening, July 10, from 6-9 p.m. at The Artists’ Loft above Wake Forest Coffee, 156 South White Street, Wake Forest, NC, phone 919.554.8914. I hope to see you there - let's help some needy animals!